–The Leadership North County Program is currently recruiting for Class of 2018. This very successful program will expand knowledge, empower citizens and promote overall community involvement. Leadership training courses will engage in activities and curriculum that focus on effective management practices, leadership principles, enhanced communications techniques and an overall community awareness. The program will help to establish community leaders, impact lives through civic projects and provide a foundation for a vibrant community.” said Lindy Hendy, Atascadero Economic Foundation, Executive Director. “This Program will help fill a growing demand for civic involvement here in the North County,” Hendy said. The program courses will emphasize areas of Northern San Luis Obispo County lifestyle including agriculture, arts, county and city government, economic development, education, health, justice and sustainability. Through curriculum, mentorship and presentations, participants will enhance their personal leadership style and work together with community members of varied experiences. 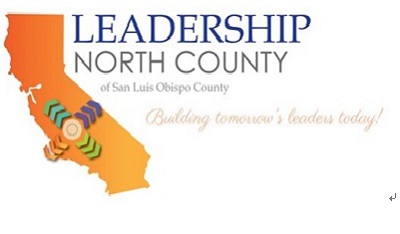 Leadership North County of San Luis Obispo is now accepting applications for its 2018 class. A selection committee will screen the applications in Jan and announce the new class in Feb 2018. Any adult, 21 or over, who works or lives in North San Luis Obispo County, may apply. An application can be obtained online at from the Atascadero Chamber of Commerce or by calling the Atascadero Chamber of Commerce office at (805) 466-2044. The program cost is $1,200 including a two day retreat and all materials for the nine month program. The fee may be paid directly by the individual enrolling, by their employer or by a sponsoring organization. Applications must be received at the Atascadero Chamber of Commerce office on or before 5 p.m, Mon , Jan 10.